I had an interesting experience the past couple of days. As you know, I am a huge fan of Robert E. Howard. I think he’s the best fantasy writer we’ve seen yet. And as BlackGate.com showed with its Discovering Robert E. Howard series, he wrote well in several genres. Monday night, I saw the news that Funcom (maker of the Age of Conan MMO, which I like) and Cabinet group LLC (holders of the rights to Robert E. Howard’s works) jointly formed a new company, Heroic Signatures, to get more use out of the digital/gaming rights to almost two dozen REH characters and stories. I quickly wrote up a post for BlackGate.com. Back in January of 2015, I wrote a Black Gate post titled, Ya Gotta Ask. Basically it said that whatever I’ve managed to achieve (if anything) in the writing field is because I’ve approached people with suggestions or offers that landed me writing gigs (note – not paying ones). It never hurts to ask. Not so far, anyways. Well, I sent in a ‘Contact Us’ form at the Cabinet Group website on Tuesday, saying that a lot of people would like to see some new fiction featuring REH’s characters (not just games). And also, there are authors who would like to write that fiction. Figuring my form submission would probably not have any effect, I copied it into a FB message to the company president (anybody could have done this. I found his name on the website). Surprisingly, he messaged me back about ten minutes later, telling me he agreed with me, sharing some information on the Conan pastiche field and revealing that new REH pastiches would be coming in 2018. I was also quite surprised to learn he knew who I was. Must have read me at Black Gate. He provided a bit more info and said I could let the cat out of the bag. Another rushed post made the announcement at lunchtime on Tuesday and the REH Facebook world was agog. Apparently this was news to just about everybody. Folks are excited, cautiously optimistic and/or interested – both in reading and writing new stories featuring REH’s characters. One FB poster referred to me as a ‘Black Gate reporter,’ which made me chuckle. And another, sharing my links, said he couldn’t verify the news anywhere else. While I don’t think anybody should assume my word is gold, I never thought anybody would doubt it. Simply because it would never occur to me to make something like that up. Things are happening behind the scenes and I’m watching the parts I know of (not much). Fredric Malberg, head honcho at Cabinet Group, has agreed to respond to some questions, which I’ll turn into a Black Gate post (similar to this one I did last year). From what little I know (like I ever let THAT stop me), I don’t think that Cabinet is going to take ‘The Tor Approach’ and crank out a lot of mediocre pastiches (some were good, like Conan the Rogue by John Maddox Roberts and John Hocking’s The Emerald Lotus, but many were not). And I certainly don’t expect nearly a dozen Age of Conan spin offs (I hope not). And if they get a good line editor (I’ve got a vote for that one) and quality authors, I think REH fans will be pleased to see new stories featuring Steve Harrison, or Sailor Steve Costigan, or El Borak, or Solmon Kane or whoever (I love Conan, but REH wrote about a lot more than just the mightily-thewed Cimmerian). Harry Turtledove’s Conan of Venarium came out in 2002. It’s been fifteen years since an REH pastiche. And even that one came five years after the prior Conan novel. Cabinet could easily have gone another fifteen years without any new books about REH’s characters, so I’m excited. And I’m pleased it’s not just Conan. I would like to add some new REH books alongside my original text Del Rey editions. Here’s how I choose to look at it: The rights holders focused on getting unabridged REH texts out there. So, we got the Del Rey series (which is what made me an REH fan) and some excellent books from the Robert E. Howard Foundation Press. We were weaned off of the de Camp edits. I’m going to give them the benefit of the doubt heading into the world of new REH pastiches. Hopefully the Q&A will yield some more details on what we can expect. I do know that the first book will be out in 2018. May it be the first of many. This entry was posted in Pastiches, Robert E Howard, Uncategorized and tagged Robert E Howard on December 20, 2017 by Bob Byrne. While I’m a mystery guy, I’ve been reading fantasy since grade school (and that was a LONG time ago now). And though I came to Conan, and then the rest of Robert E. Howard’s works, relatively late, I have tried to make up for lost ground, though. Being both a fan of Howard and of the hardboiled genre, I check ed out his tough as nails detective, Steve Harrison. I was underwhelmed. Harrison is not among Howard’s best known or most popular characters. Conan, Kull, El Borak, Solomon Kane, even Sailor Steve Costigan: they all have higher profiles than Harrison. Heck – Breckenridge Elkins is probably ahead of Harrison on the list (there’s an REH series that I can live without). William Patrick Maynard is a fellow blogger over at BlackGate.com. He’s currently at work on his third authorized Fu Manchu novel. 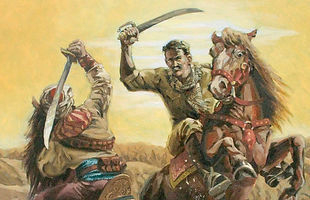 Bill has a new post up today at THE Robert E. Howard blog, REH: Two Gun Raconteur. It’s Two Gun’s third post this year about Harrison. 2016 kicked off on January 1st with Dierk Guenther’s Gumshoes, Gats and Gals: Robert E. Howard’s Detective and Crime Stories. It covers a lot of ground and looks at the crime and mystery genres, but Harrison is a key part of it. Some folks say that April 7th was a sign that the quality of the blog is slipping, as my own Steve Harrison: REH’s Private Detective appeared. I think that Howard is the finest writer of fantasy fiction the genre has ever seen. But I’m not as keen on his Harrison stories. In today’s post, Steve Harrison Reconsidered, Bill offers a more positive view of the stories. He and I have some of the same thoughts, but with different results. 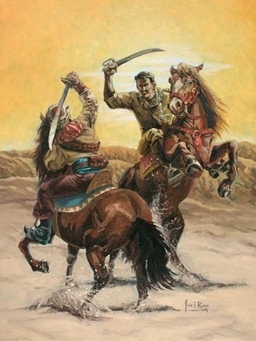 If you’re a fan of the Harrison stories, or even if you’ve never come across them, click on the links above and check out these three essays about one of Robert E. Howard’s characters. As far as I’m concerned, almost any story Howard wrote is worth reading at least once. Though I have to admit, the poetry I’ve not pursued very hard. This entry was posted in Hard Boiled, Robert E Howard and tagged Robert E Howard, Steve Harrison on July 28, 2016 by Bob Byrne. 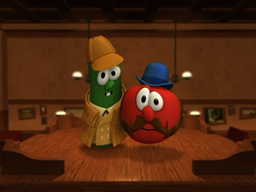 Well, The Public Life of Sherlock Holmes continues to plod along every Monday morning over at http://www.BlackGate.com. This post on season three of Elementary turned out to be the most viewed post for the entire month of July. That’s the first time I came in at number one! A few years ago now, I wrote a short short story that was a parody of the hard boiled genre, with a heavy dose of William Gillette’s curtain raiser, The Painful Predicament of Sherlock Holmes. Shovel’s Painful Predicament is funny. Well, I think so, anyways. I’ve continued helping guide Black Gate’s ‘Discovering Robert E. Howard series. We just had our twelfth post earlier this week and quite a few more guest columnists will be contributing. Originally planned to run in July and August, we’re extending it into the Fall! 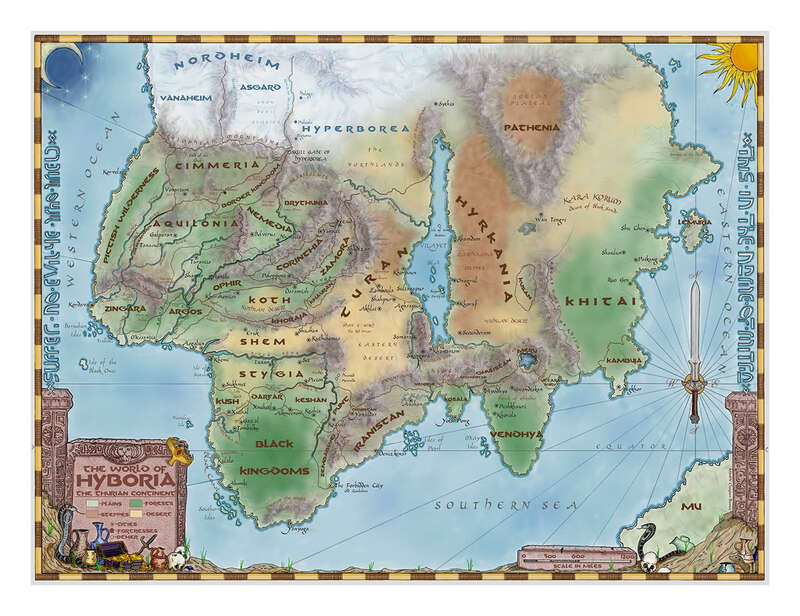 I’ve used PLoSH a couple of times for the series: writing a post about the official status of Conan pastiches and comparing that with Holmes pastices; and another with some ramblings on Howard, who I consider to be the best fantasy writer of them all. And a few weeks ago, I wrote about Ronald Howard, an under-appreciated Holmes and one of my favorites. If you happen to check in on my Black Gate column once in awhile, I posted about some of the topics I’ve already started researching for future posts, as well as others I’ve at least thought of. See if there is anything that catches your attention. 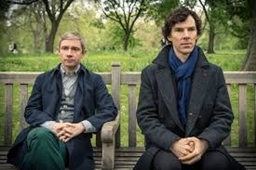 This entry was posted in Sherlock Holmes, The Public Life of Sherlock Holmes and tagged Robert E Howard, Ronald Howard, Sherlock Holmes, The Public Life of Sherlock Holmes on August 28, 2015 by Bob Byrne. I’m a binge reader and writer. I go all in on a subject for a period of time and immerse myself in it. I might still be reading one or two other things at the same time, but most of the focus is in one area. 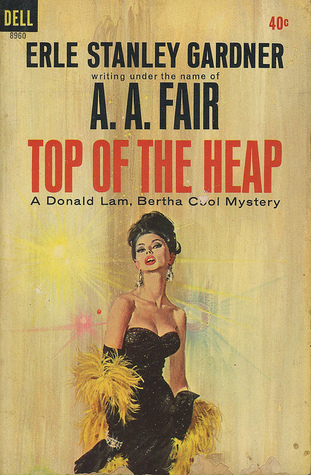 For example, I read/re-read about a dozen of Erle Stanley Gardner’s ‘Cool and Lam’ books for an upcoming Black Gate post. At the same time, I’ve re-read a couple of Wade Miller’s Max Thursday books for the same purpose. I also re-read one of Basil Copper’s collections just to keep Solar Pons on my radar. And I was actually enjoying Raymond Chandler for the first time (I’ve not been a fan). But for the past few months, it’s mostly been Robert E. Howard on my screen. I posted earlier about the summer series Black Gate is doing on Howard. After writing a post on REH’s private eye, Steve Harrison, I asked Paul Bishop to do a piece on Howard’s boxing stories. And I thought about all the other good stuff Howard wrote. And other areas of interest, like comics, the man himself, and so on. So I asked a couple other folks if they’d like to contribute. And those people gave me names of others (fortunately, all who knew much more about Howard and the various subjects than I did). And people who liked what they were reading actually contacted Black Gate to volunteer to write something! This is all a testament to what a fantastic writer Howard was. This week, we’ll likely have our eleventh post in the series, and it will be no surprise to me if we hit two dozen before we’re done! Here’s a link to the latest, which includes links to all the prior posts. Now, I’m a big fan of Howard’s Conan tales. But if that’s all you know of the man, you are missing out on some first class stuff. My current binge is El Borak and I think it’s got some of his best writing, in any genre! We’ve got all kinds of subjects coming in this series: Cthulhu, westerns, poetry, horror, Bran Mak Morn, El Borak, role playing games, historicals, etc. If you are a fan of Howard: or you think you’d like to learn a little more about him and his works, head over to http://www.BlackGate.com and search on Robert E. Howard. This entry was posted in Uncategorized and tagged Robert E Howard on August 11, 2015 by Bob Byrne. The clash and clangor of steel was as that of a million sledges on as many anvils. The watchers on the walls were stunned and deafened by the thunder as they gripped the battlements and watched the steel maelstrom swirl and eddy, where plumes tossed high among the flashing swords, and standards dipped and reeled. Of course, he wrote much more than just tales about Conan. Back in March of this year, I wrote a Public Life of Sherlock Holmes post on Robert E.Howard’s hard boiled/adventure private eye stories starring Steve Harrison. 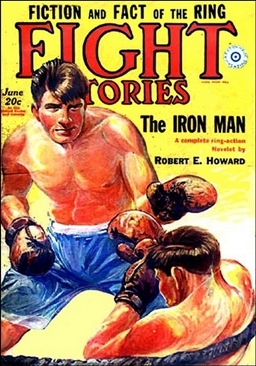 At the time, I thought it would be neat to see a post on Howards’ boxing stories. And I knew I was completely unqualifed to write it. 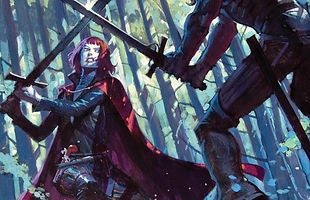 So I asked Paul Bishop, the man behind the Fight Card series of books, to write such a post. He did in this great guest post. Which gave me the idea to ask some other notable folks to write posts on other aspects of Howard’s works. The response was quite positive! So, we’ll be seeing posts this summer at Black Gate on various Howard subjects, such as his westerns, comic books, Howard Days (an annual REH fesitval) and Solomon Kane. I’ve got inquiries out on more subjects and have high hopes for them. So, if you’re a Robert E. Howard fan, there’s some good stuff coming your way from the web’s leading fantasy website, Black Gate. This entry was posted in Uncategorized and tagged Robert E Howard on June 28, 2015 by Bob Byrne.